(3) the efficacy of the coping efforts: if required by the appraisal process the individual starts a problem management phase aimed at regulation of the external stimulus. Extreme levels of stress can have a negative influence on one’s professional life as well as causing disruptions in both the social and personal life of individuals. Stress can also contribute to different physiological and psychological disorders, such as burnout, anxiety, chronic headaches, depression, withdrawal symptoms, nausea, phobias, blood pressure problems, heart impairments, diabetes and other chronic ailments. Repeated and early exposure to stress, above all in persons with a genetic disposition, as well as individuals with a high level of trait anxiety, may result in a higher likelihood for developing anxiety. Overexcitation and deprivation can influence the affective system and may induce changes in the emotional circuitry of the brain that can contribute to stress-related psychopathology. Associations between psychological stress and disease have been established, particularly for anxiety, depression and cardiovascular disease (CVD). Stressful events influence the pathogenesis of physical diseases by causing continuous negative affective states (potentially leading to feelings of anxiety and depression), which in turn exert direct effects on biological processes, activating the hypothalamic-pituitary-adrenocortical axis (HPA) and the sympathetic adrenal medullary system (SAM) or behavioral patterns that influence disease risks. Exposures to chronic stress are considered the most toxic ones because they are most likely to result in long-term or permanent changes in the emotional, physiological, and behavioral responses that influence susceptibility and the disease course. This kind of stress can lead to a loss of productivity and to mental health problems, such as depression and anxiety. Additionally, without treatment, burnout may result as a long-term consequence. Stress management therapy can help to overcome the negative effects of stress. 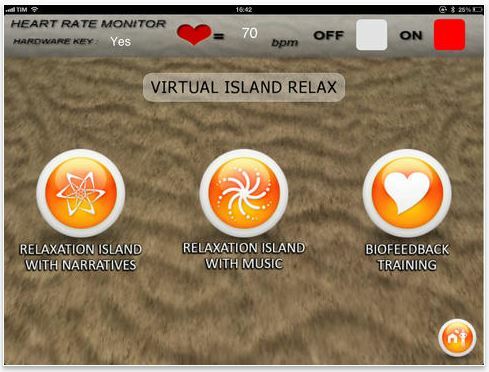 Various techniques may be used, including relaxation, visualization, biofeedback and cognitive behavioral therapy (CBT) methods. The Cochrane Database of Systematic Reviews states that the most validated approach for both stress management and stress treatment is CBT. Typically, this includes individual interventions (10 to 15 sessions) interwoven with didactics. It includes in-session didactic materials and experiential exercises, and out-of-session assignments (practicing relaxation exercises and self-monitoring of stress responses). The intervention focuses on learning more effective ways to cope with daily stressors and optimization of one’s own use of personal and social resources. The intervention also encourages emotional expression, countering doubt appraisals with a sense of confidence by means of cognitive restructuring, and honing skills in anxiety reduction (i.e. progressive muscle relaxation, abdominal breathing or relaxing imagery). The CBT package thus includes both problem-focused (for example, resource optimization and better planning) and emotion-focused (for example, relaxation training, use of emotional support) coping strategies. Nevertheless, the Cochrane database underlines that further clinical research is needed to fine-tune existing protocols and fully exploit CBT’s clinical potential. The difficulty with stress assessment, prevention and treatment is that it is so very personal. Stress-related disorders cannot be explained simply on the basis of the terrible things that happen to people. These disorders depend a great deal on how the person experiencing a stressor is put together, psychologically and physically. So the focus for assessment, prediction and treatment has to be the situational experience of the individual person. With this in mind, the INTERSTRESS project, a 3-year research study funded under the FP7 program by DG-CONNECT, European Commission, was completed in February 2014. INTERSTRESS addressed the limitations of existing CBT protocols for treatment and prevention of psychological stress and burnout. In the standard CBT protocol for stress management, imagination and/or exposure evoke emotions, and the meaning of the associated feelings can be changed through reflection and relaxation. The INTERSTRESS project went a step beyond: allowing participants (school teachers and nurses) to control experiences that evoke emotions, resulting in meaningful new feelings, which can then be considered and ultimately changed through reflection and relaxation. Allowing the participants to be actively involved, with a measure of control, helped to improve self-confidence and self-efficacy. Although traditional CBT focuses directly on modifying dysfunctional thoughts through a rational and deliberate process, INTERSTRESS focused on modification through a more contextualized, experiential process. 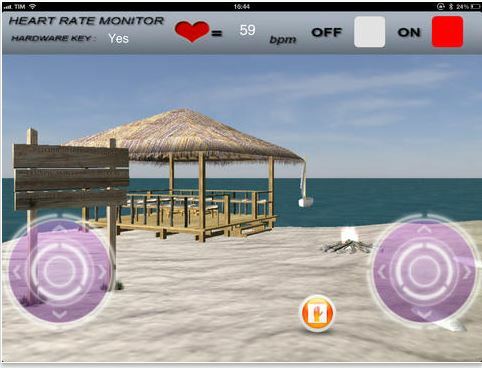 In the INTERSTRESS training, individuals were actively involved in the learning process, experiencing stressful situations reproduced in virtual environments and reflecting on the stress level in their daily life with the help of advanced technology, Virtual Reality, Smartphones and biofeedback sensors. Virtual Reality Medical Institute, VRMI, was the Dissemination Exploitation Workpackage Leader for the INTERSTRESS Project as well as a Clinical Partner and leader of the Marketing Trials. 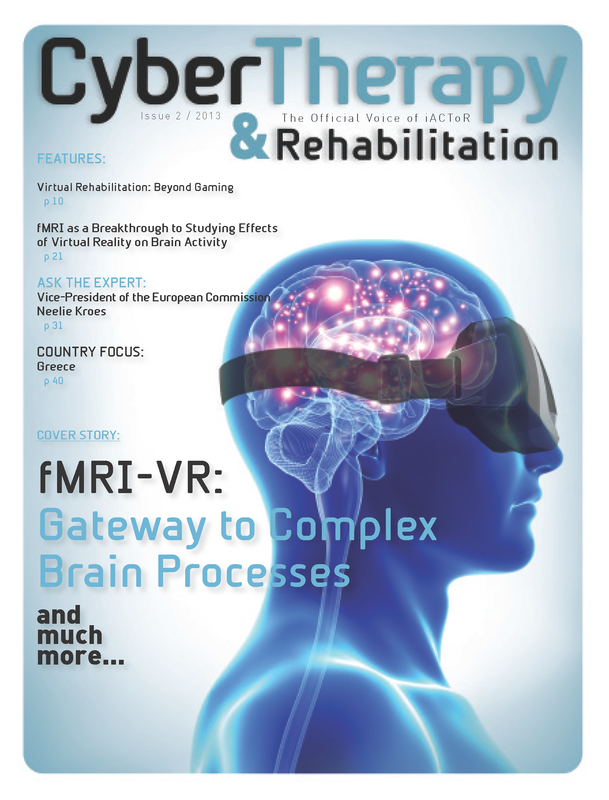 VRMI is now proud to announce that we are the first provider of the INTERSTRESS solution in a private practice setting, proving that positive research achieved through valuable European Commission funding can be successfully translated into real world settings, helping individuals achieve relief long after the project is complete. VRMI and its affiliates offer these services in California and China. Please note that our Belgian Institute is involved only in Research Projects and Consulting Services. If you would like to have us as a partner in clinical trials, please contact us at: office @ vrphobia.eu. If you wish to come to our Southern California Clinics for a one to two week Condensed Treatment, we do offer individual therapy services to those coming from other States/Countries. If you would like to schedule an appointment for a therapy session please contact us at frontoffice @ vrphobia.com or +1 858 642 0267.